The state of Houston tech report recognized AcctTwo and 10 other Houston-based SaaS and service companies as the leaders of the city’s tech scene. AcctTwo was the 3rd highest rated B2B service company in Houston and the 11th overall B2B company in the city. AcctTwo, a leading consulting firm and provider of cloud-based financial management solutions and managed accounting services, announced that the firm has been identified as one of the best software and services companies in Houston, based on its high levels of customer satisfaction and likeliness to recommend ratings from real G2 Crowd users. Overall AcctTwo had the 11th highest user-reported satisfaction of any software or service company headquartered in Houston. AcctTwo has received a 4.6 out of 5 stars based on its 31 verified real-user reviews in the Sage Intacct Consulting category on G2 Crowd. AcctTwo was the 3rd highest rated B2B service company in Houston and the 11th overall B2B company in the city. The state of Houston tech report recognized AcctTwo and 10 other Houston-based SaaS and service companies as the leaders of the city’s tech scene. Overall the report covered over 30 companies in the Houston-area. Read the entire report to see the trends and how AcctTwo is contributing to the overall state of the B2B Houston tech scene. 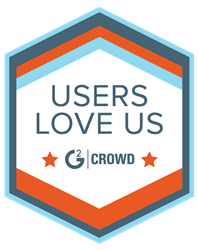 G2 Crowd, the world’s leading business solution review platform, leverages more than 330,000 user reviews to drive better purchasing decisions. Business professionals, buyers, investors, and analysts use the site to compare and select the best software and services based on peer reviews and synthesized social data. Every month, nearly one million people visit G2 Crowd’s site to gain unique insights. G2 Crowd aims to bring authenticity and transparency to the business marketplace. For more information, go to G2Crowd.com.